Managed WordPress hosting is a new buzz in town! But guess what? Half of the hosting companies on the Internet are offering similar services. The question lies, which one should be the best pick? Does my hosting platform really offer what it claims? Does it reduce the requirement of maintaining a website and server? Likely, the answer is no! It doesn’t. The reality is always harsh! The Internet is full of domains, web hosting, and over 90% of them are all shaped on well-planned, SEO-friendly fabrications. Recently, we conducted a short review of our fellow employees. We asked them a list of questions to analyze how does a quality hosting platform should be? Should a WordPress hosting provider be your partner in managing your website? Should a hosting provider be responsible to give you peace of mind while hosting with them? The reply came out to be an astounding with yes! But the truth about WordPress hosting industry these days is that they can give you more trouble than ease while hosting your websites with them. Is it really impossible to find a hosting provider that offers what is says? The answer is: a big no! Cloudways is one of a kind, managed cloud hosting platform and believe it or not — it does offer what it claims! It is a managed WordPress hosting provider that you can rely on! Its servers are highly-reliable, support is 24/7 interactive and quick: literally speaking, Cloudways applies no restrictions on your WordPress websites, and best of all — moving to its hosting servers is easy as clicking a few buttons. Here are some of the features why we, at SeedProd, believe that Cloudways is the best-managed hosting provider for you! People say that your first impression is your last impression! When we landed on the homepage of Cloudways, we found out that they give layers of advanced caching technology that guarantees consistent website uptime and incredible performance. So it definitely leads us to create an account on Cloudways, and too much of our surprise — it all came out pretty true! 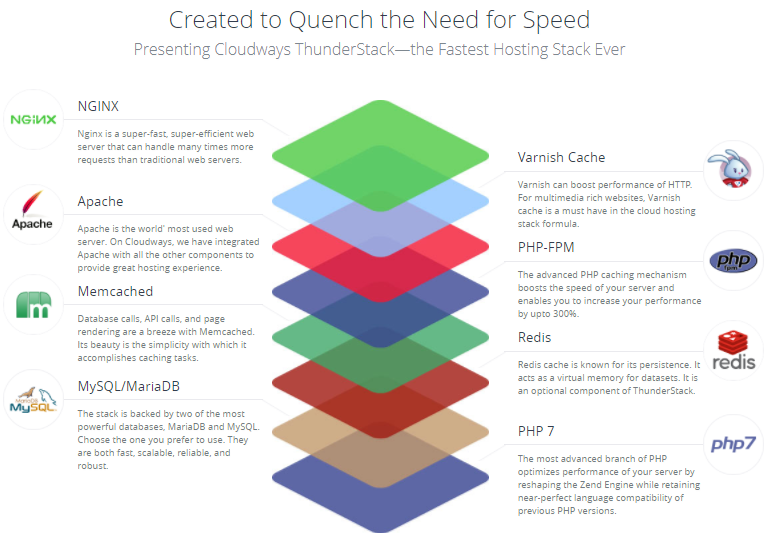 Without a doubt, Cloudways’ ThunderStack is something that even other premium hosting providers fall short of providing this technology. Setting up WordPress and using advanced caching services like Varnish, Redis, Memcached is not intimidating at all, as they provide them by default. 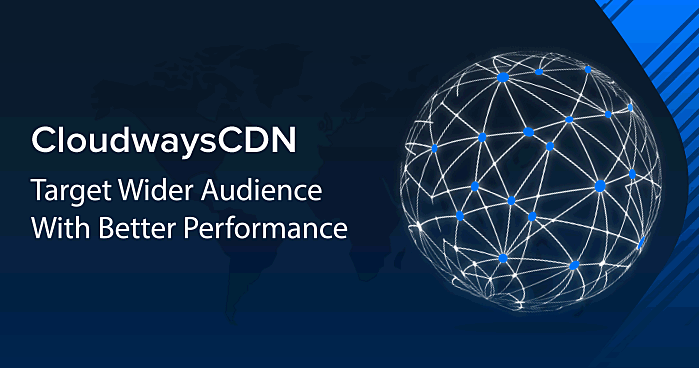 CloudwaysCDN offers a highly-distributed service that is optimized for delivering content, including web applications and streaming media content. It is distributed in different physical locations and network points to directly handle end-user requests for secure and fast web content and media delivery. CloudwaysCDN serves as an intermediary between servers and visitors. Without CloudwaysCDN, the servers must respond to each end-user request, generating significant traffic on the origin server; hence increased load. In case of peaks of excessively dense traffic or persistent load, the risk of server failure is high. As we are all pretty aware of the fact, hosting websites on cloud servers can be a tedious task. It requires plenty of efforts to launch and maintain a WordPress website. Above that, rolling out application updates and keeping track of your server maintenance can equally become troublesome. Here is how you can launch your WordPress website on Cloudways. Although, WordPress market is quite vast and you have the flexibility to add as many themes and plugins you want. Other managed hosting providers may not let you install your favorite or new WordPress plugins. In fact, they can restrict you due to compatibility or any other issue in their platform. But with Cloudways, the case is a bit different: they also offer you a free WordPress cache plugin known as Breeze. Hence you can try out any WordPress plugin on your website and Cloudways won’t stop you from using it. Think about the freedom they provide! You can build any type of website while hosting with them. On the other hand, unlike other managed cloud hosting providers, Cloudways doesn’t restrict you to using several plugins at a time. You can install as many plugins as you want. It gives you the liberty to organize, maintain and add many features to your WordPress website. 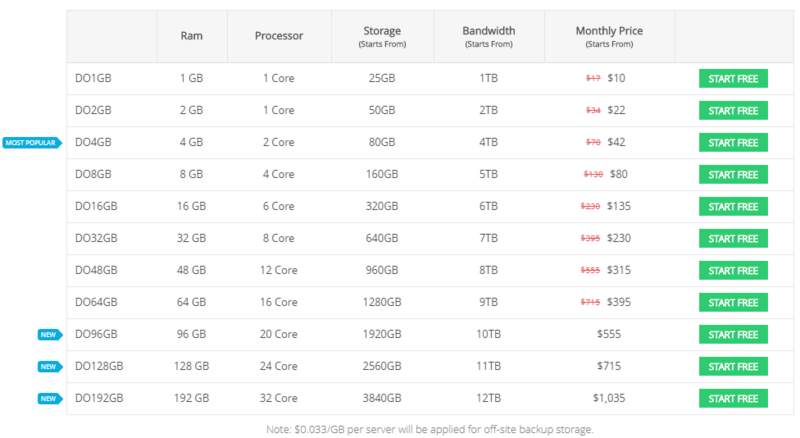 Most managed hosting providers come with a preplanned pricing package that is expensive to most users. In fact, most of the time, users are not really well aware of what you are exactly being charged for? Although we found out that Cloudways follow a simple pricing model; however, they added a bit of flexibility to it. They follow a pay-as-you-go pricing model that means you only have to pay for the resources you consume. I was not well-aware of this model until I logged in and launched a server on Cloudways Platform. Yes! It is, in fact, true… They actually do follow the motto! You can scale your server size, bandwidth, disk storage and much more. As you scale up your requirements, your pricing plan also increases and at each point, you will know what your next invoice will be. There’s nothing hidden to you! When we sought out to find the best hosting platform, we had a few things in mind. One which really kept us lingering on edge was: which hosting platform will provide us backups and quick rollbacks? You see Cloudways not only offers its customers unlimited backups, but also allows them to set the frequency of backups as per preferences. Ensuring that customers will always have backups to roll back when something goes wrong. Cloudways keeps the backups on a separate server, giving you a peace of mind even in the case you lose entire data on the server. Along with backups, Cloudways lets you create unlimited staging websites so you may not break website after going online. You can also clone your live site to a staging site with 1-click! How cool is that! Also, it comes with a staging environment so you can test your website whenever you want before sending it out live across the Internet. Most hosting providers offer a one time WordPress Migration absolutely free. So what makes Cloudways any different to other competitors and many reliable names? With Cloudways you get Free unlimited WordPress migrations. With Cloudways WordPress Migrator Plugin, you can migrate unlimited number of sites automatically to Cloudways in just a few minutes. It seems like they do know that manual migration is quite hectic. That’s why they have made their migrator plugin absolutely easy to use and free. When it comes to hosting WordPress, security is one of the major factors that every individual take into consideration. Our exploration provided an insight that Cloudways has great security features. It comes with SSH and SFTP access to every server and application. So, rest assured that all communication channels in between websites and servers are encrypted and secured. 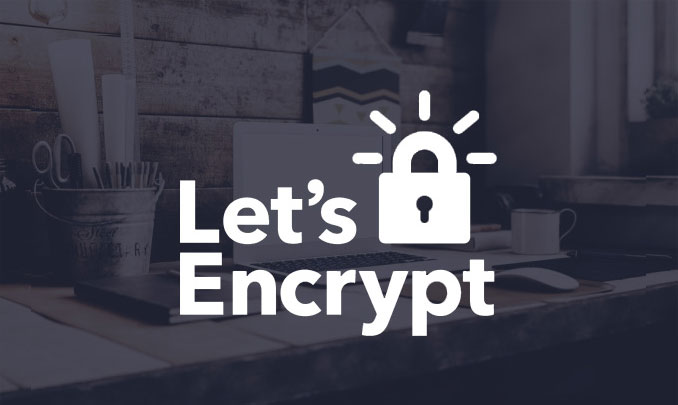 Most hosting platforms do not provide SSL certification leaving out individuals hazy on how important is the encryption of your site. However, Cloudways offers Free SSL Certificates on 1-click install for all websites. We advise that all WordPress clients should have SSL certification on their websites as their priority. So that’s all for Cloudways! 1-Click Features, Cloning, Domain Mapping, Free SSL, Backup, Scaling & Restore. However, for a greater insight, you may have to visit their official website: Cloudways. Question Yourself! What Are You Really Looking For? So every time you sit on your laptop making yourself comfortable at a cafe or your work desk, you may end up asking yourself whether your online business is in safer hands or not! Our answer is YES! But only if your website hosted on Cloudways. Cloudways is a user-friendly hosting provider that makes hosting easy for all. It is affordable and provides you clarity when it comes to pricing and everything you can think of! With Cloudways, you can design almost any kind of website you want to. No matter how vast the database of your website is or what enterprise level is your business at! Cloudways gives you an ultimate user experience. We have teamed up with Cloudways WordPress Hosting to offer you an incredible deal. Cloudways — a Managed Cloud Hosting Platform — makes it easy to setup and configure your server on a number of different cloud infrastructure providers like DigitalOcean, Linode, Kyup, Vultr, AWS, GCE. Sign up for Cloudways and use coupon code SPCW15 which gets you $15 Free Hosting Credit and 50% off on any SeedProd plugin.